Investing in real estate is our only business. We have successfully managed investment strategies across the risk/return spectrum for over 50 years. L&B offers private equity real estate investment for institutions and private investors through separate accounts and commingled funds. Separate account clients are the cornerstone of L&B’s portfolio management business. We have a history of long-term relationships, and our investment experience spans all major property types and strategies. Whether an investor is seeking opportunistic returns from mixed-use properties in high-growth cities or core returns from office buildings in barrier-to-entry markets, L&B has the expertise to successfully construct individualized real estate portfolios for each client. Jan has been with L&B since 1987. She has over twenty years of experience in real estate accounting including fund and separate account client financial and performance reporting. She is responsible for supporting marketing efforts through comprehensive reporting to prospective clients and consultants. 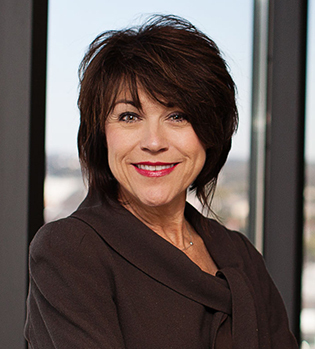 Jan is an active member of the National Council of Real Estate Investment Fiduciaries. Jan earned a BA in Political Science, MS in Accounting, and a Master of Public Administration, all from the University of North Texas. 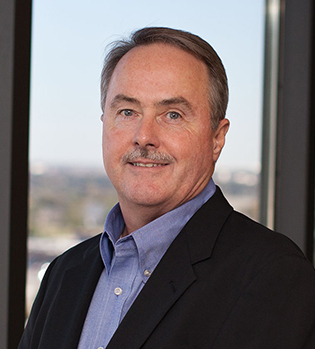 For over 30 years, Terry has worked with domestic and international real estate investors. His background includes investment advisory, leasing and operational experience, the last two decades in various senior positions working with institutional investors via separate accounts and commingled funds. Terry currently provides leadership for 13 retail assets with approximately 2.5 million square feet valued at $700+ million. Terry joined L&B in 2013. Terry earned his BS degree from the University of Alabama with a major in Real Estate. He is a licensed Texas Real Estate Broker and holds the Certified Shopping Center (CSM) designation. Eric’s focus is consultant relations, product development and new investors for L&B’s fund and separate account strategies. Prior to his role in marketing, Eric headed up the office and industrial asset management department and was responsible for the investment strategy and performance for $1.17 billion in office and $120 million in industrial assets. 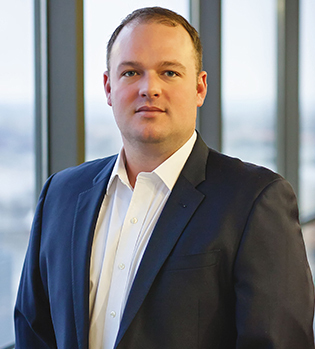 When Eric began his career at L&B, he served in the acquisitions department as an analyst and then associate director responsible for sourcing, analyzing, and closing property acquisitions for the east coast of the United States. While in that capacity, he closed $118 million in acquisitions and $160 million in office dispositions. Eric joined L&B in 2000. Eric holds a Bachelor of Science degree in Business Administration from the University of Central Florida. Rui currently manages a separate account with opportunistic strategy. She’s also responsible for business development efforts in raising capital from overseas. 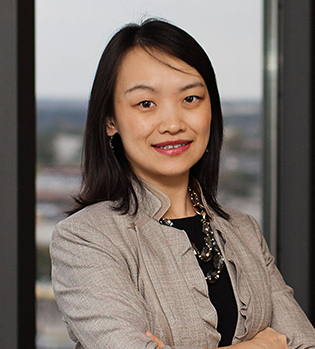 Since joining L&B in 2000, Mrs. Shi has been involved with both separate account and commingled fund portfolio management with all commercial property types including hospitality and senior living, with past and current assignments over $2.7 billion gross asset value in core, value add and opportunistic strategies for domestic pension fund and foreign private equity clients. As the lead Portfolio Manager, she’s responsible for overall portfolio design, investment strategy implementation, transaction execution and oversight. Since 2015, Mrs. Shi has sourced, structured and closed over $700 million Joint Venture development projects across the U.S. with major development partners. Rui is a CFA Charter holder and a Certified Commercial Investment Manager (CCIM). She is a member of NCREIF and PREA and actively participated in its Reporting Standards Performance and Risk workgroup. From 2012 to 2013, she Led a multi-disciplinary coalition task force comprised of participants from plan sponsors, industry consultants, investment advisors and academic professors to establish a reporting framework to measure leverage risks within institutional investor’s real estate portfolio. The work product was officially adopted and incorporated into the NCREIF PREA Reporting Standards in 2013. Rui earned a BA degree in Economics from Renmin University of China, and a MA degree in Economics en Route to Ph. D. from Southern Methodist University. Holly is responsible for overseeing, managing, and implementing all aspects of Human Resources including but not limited to: administering employee benefits, recruiting, compensation, enforcing policy and procedures by updating the employee handbook, making sure L&B stays compliant with HR law updates, and various aspects of human relations. Holly also serves on L&B’s culture committee. She joined L&B in 2011. Holly graduated from The University of Oklahoma with a degree in Human Relations. She is a member of Dallas HR and the Society of Human Resources Management. 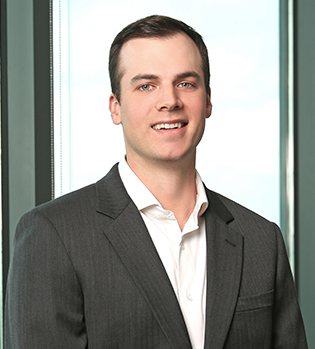 Alex has 10 years of industry experience, comprised of asset management, acquisitions, dispositions, structured financings, and development. Alex has worked in all commercial property types including hospitality. He joined L&B in 2016. 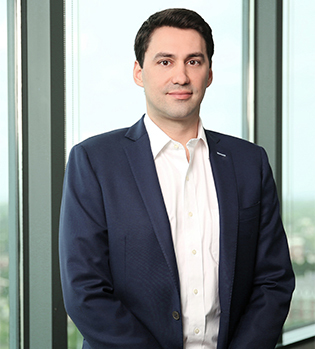 Alex oversees non-discretionary pension plan client’s multifamily assets and developments comprised of nearly 2,000 units with a $1.5B GAV. The portfolio includes projects in various stages of development as well as stabilized assets in major metropolitan. Alex received a BA in Biology from Southern Methodist University. Zeke assists in managing a non-discretionary separate account client. He oversees acquisitions, dispositions, asset management, reporting, and financial analysis related to the account. Zeke joined L&B in 2016. Zeke received a Bachelor of Business Administration from University of Georgia and an MBA from INSEAD. Paul is responsible for sourcing, underwriting, negotiating, and closing commercial real estate investments. Paul has acquired and sold properties valued at over $1.6 billion and totaling 5.4 million square feet. Paul is a member of the L&B Investment Committee. Paul joined L&B in 2004. Paul graduated from Baylor University with a BBA in Real Estate and Management. 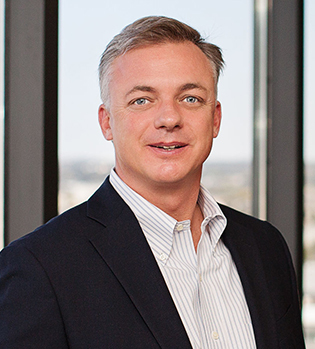 He is currently a co-chair of an Urban Land Institute council, member of the International Council of Shopping Centers, and holds a Texas Real Estate License. Bernadette is responsible for sourcing, underwriting, negotiating and closing commercial investments nationwide with a focus on joint venture mixed-use developments and retail properties. Bernadette has acquired over $1.5 billion in assets. She joined L&B in 1994. 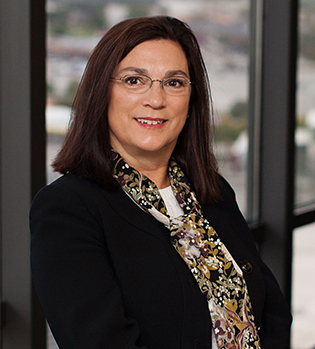 Bernadette earned her BBA degree in Finance from the University of Texas of Arlington. 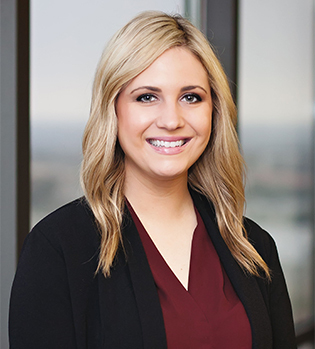 She is a member of the Urban Land Institute and the International Council of Shopping Centers, is a Certified Commercial Investment Member (CCIM), and has a Texas Real Estate License. Christine manages four separate account portfolios. She has experience with both value-add strategies, which include development and redevelopment projects, and traditional core portfolios for all property types. She is responsible for client communication, leading the client team in setting strategy and developing the portfolio investment plan, and acting as the client advocate. Christine also provides oversight of the acquisition, disposition, financing, asset management and construction management functions. 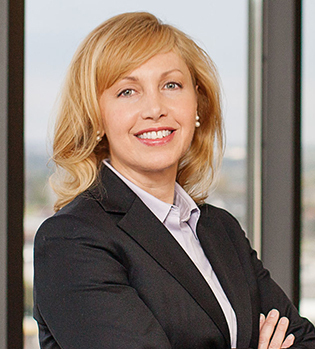 Christine joined L&B in 1995 and is a member of the firm’s Investment and Management Committees. 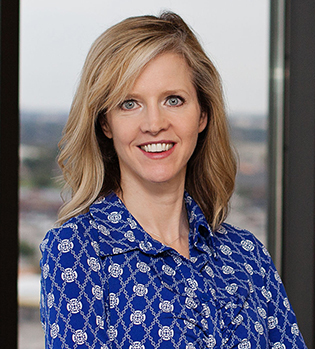 Christine is a Certified Public Accountant and earned her BBA degree from the University of Texas at Arlington. 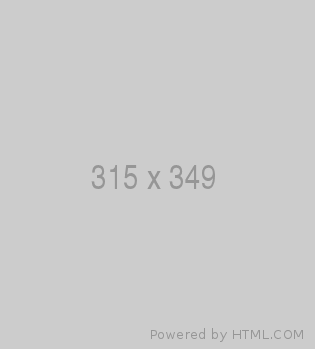 She is a member of several professional organizations including National Council of Real Estate Investment Fiduciaries, Pension Real Estate Association, Texas Association of Public Employee Retirement Systems, and Urban Land Institute. Jon assists with the management of over $2 billion of equity investments on behalf of separate account clients and commingled funds. He provides support in setting strategy, developing annual investment plans, and oversight of the acquisition, disposition, financing, asset management and construction management functions to ensure compliance with client guidelines and investment strategy. Jon has experience with commingled fund management, all property types and strategies. Jon joined L&B in 2007. 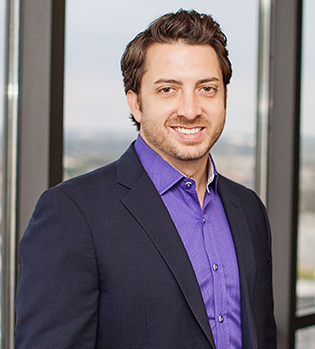 Jon earned a BAAS in Business Administration from St. Edward’s University and a Master of Science in Real Estate from The University of Texas at Arlington. 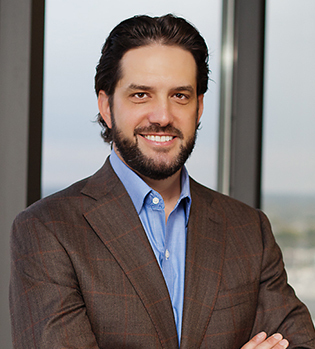 He is a licensed Texas Real Estate Broker, a member of the Urban Land Institute (ULI), Texas Real Estate Council (TREC), ICSC and National Council of Real Estate Investment Fiduciaries. Christian is the portfolio manager for the L&B Core Income Partners, L.P. and for an institutional separate account client. His responsibilities include managing all client communications, formulation and implementation of investment strategy, the acquisition and asset/construction management process as well as managing client equity and joint venture partners. Before joining the portfolio management group, Mr. Metten was responsible for sourcing, underwriting, negotiating and closing office, retail, multifamily and industrial projects and provided asset management expertise to several institutional separate accounts and fund clients. 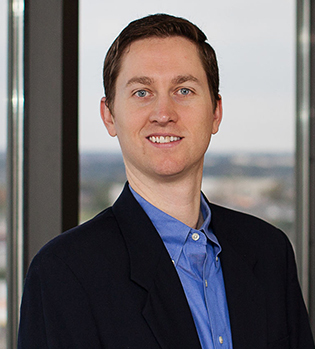 Mr. Metten serves on the firm’s Investment Committee and Management Committee. Christian joined L&B in 2000. Christian graduated from Texas A&M University with a BBA in Finance. 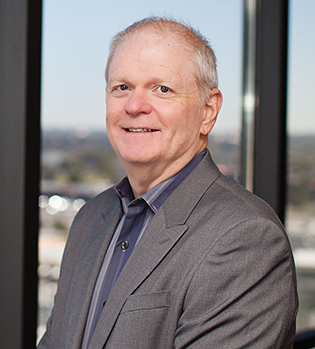 Mr. Metten is a member of the National Council of Real Estate Investment Fiduciaries, Pension Real Estate Association, and Texas Association of Public Retirement Systems. Terry has more than 20 years of commercial real estate experience. 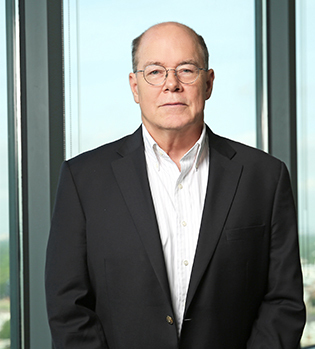 He currently managed a portfolio of seven office buildings totaling 2.8 million square feet. Terry joined L&B in 2009/. Mr. McCoy has a Masters Degree in Finance from the University of Maryland, and a Bachelors Degree from Georgetown University. Mr. McCoy is a licensed Real Estate Broker in Maryland and Virginia. 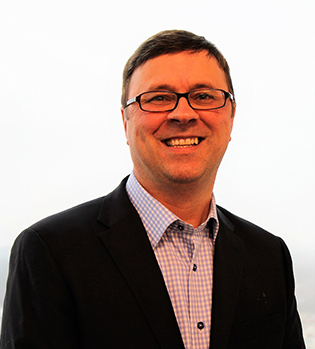 Steve oversees management and coordination of development and infrastructure projects throughout L&B’s portfolio, and is active in the coordination and oversight of design and engineering evaluations for multiple development and construction projects throughout L&B’s portfolio. Steve assists L&B’s Asset Management team in the development of annual and capital project budgeting, as well as the planning, contracting, oversight and inspection/monitoring processes for a variety of projects. He also supports the evaluation and underwriting of targeted acquisitions. As part of his duties as a LEED AP, Steve is involved in working with development partners and asset managers in developing and implementing sustainable systems and projects throughout L&B’s portfolio. Steve joined L&B in 2004. Mr. Johnston earned his BS in Civil Engineering from North Dakota State University, and is a registered Professional Engineer in the states of Texas, Oklahoma. Mr. Johnston is also a LEED AP Building Design + Construction. 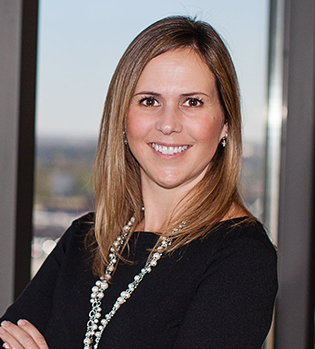 Corrine has 10 years of industry experience, comprised of asset management, acquisitions, dispositions, structured financings, accounting, and development. Mrs. Hoffman has worked in all commercial property types. In her current role, she oversees a portfolio of office and industrial assets comprised of nearly 1 billion square feet. Corrine joined L&B in 2018. Mrs. Hoffman is a member of CREW, Commercial Real Estate Women and was a member of ALC which is The Real Estate Council’s Associate Leadership Council. Mrs. Hoffman received a Masters of Finance and Bachelors of Science in Accounting from Texas A&M University. She is a Certified Public Accountant. Jennifer began her career at L&B as a property controller and then a divisional controller before assuming her current position. She has 18 years of experience in real estate accounting including audit oversight and preparation, tax return review and filing, due diligence review and pro-ration preparation, assurance of GAAP adherence, specialty client reporting and consolidation, cash flow projection, budget preparation, accounting of multi-facet real estate transactions and improvements, investment return preparation and actuarial analysis and multiple real estate accounting software conversions. Jennifer joined L&B in 1996. Jennifer earned a BBA in Accounting from Stephen F. Austin State University. She is a Certified Public Accountant. Tracie has 32 years of commercial real estate experience. 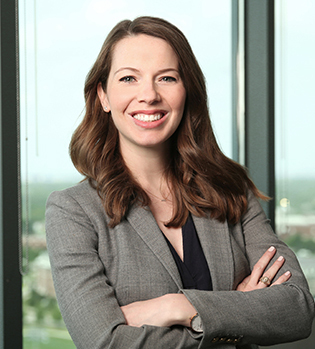 Ms. Forsythe has been responsible for the sourcing and underwriting of retail acquisitions, asset management and disposition of select retail properties, and oversight of joint venture retail development. In addition, she has supervised or served as a key team member on numerous consultation/valuation assignments for retail assets with an aggregate value of over $2.5 billion. Currently, she is responsible for managing retail joint venture relationships and overseeing retail development projects on behalf of several separate clients. Tracie joined L&B in 1988 and is a member of L&B’s Investment Committee. Tracie graduated from The University of Texas at Austin with a BBA in Real Estate and Urban Land Development and a concentration in Finance. She is a member of the International Council of Shopping Centers. John has over 32 years of commercial real estate experience. John is responsible for the management, leasing, and operations of retail properties. John has an extensive background in real estate having served in security, operations, leasing, and on-site management. As an asset manager, John has been involved in development, re-development, and supervision of a portfolio of over 10 million square feet. John joined L&B in 1985. Mr. Gerdes is a Certified Retail Property Executive (“CRX”), a Certified Shopping Center Manager (“CSM”) and a Certified Leasing Specialist (“CLS”) through the International Council of Shopping Centers (“ICSC”). He is also a Certified Property Manager (“CPM”) through the Institute of Real Estate Management (“IREM”). He is an active member of ICSC. Mr. Gerdes has a Bachelor of Science Degree from the University of Nebraska. Mr. Fitzgerald has over 10 years of experience in the real estate industry across multiple property types both in the United States and abroad. Drue currently manages assets valued over $650 million across a broad range of property types. Notable examples of his recent work include a high-street retail aggregation strategy in Boston, a $100M+ redevelopment of a Manhattan office building, and creating the first tradable credits for developing all market rate housing in San Francisco, where he is developing over 370 units. He also works with acquisitions on retail, multifamily, and joint venture opportunities. Drue joined L&B in 2013. He is a graduate of Dartmouth College where he earned his BA in Economics. Mark has over 41 years of commercial real estate experience. Mark manages a portfolio of approximately $2.5 billion on behalf of a non-discretionary pension plan client. His responsibilities include oversight of the acquisition, disposition, financing, asset management and construction management functions to ensure compliance with client guidelines and investment plans. In addition, he guides the client team as it applies research to manage risk and identify new investment opportunities for the client. Mark joined L&B in 1988 and is a member of L&B Management Committee. Mark earned his BS/BA in accounting from Bucknell University. Reed is responsible for multifamily acquisitions. He has directed the placement of over $100 million in development joint venture equity. 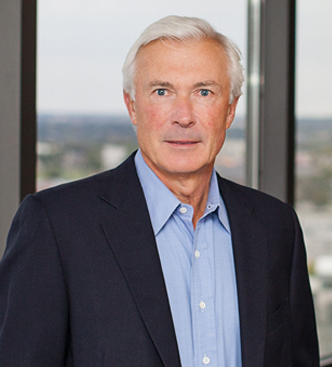 Within the firm, Reed has also held a role in asset management, overseeing 2,000 multifamily units. Reed joined L&B in 2014. Reed graduated from the University of Oklahoma’s Price College of Business with a BBA in Finance. He is a member of the National Multifamily Housing Council and the Urban Land Institute. Merrill has over 39 years of commercial real estate experience. She has extensive experience with office and industrial and has expanded her experience to include retail and development projects. She is responsible for managing assets valued at $673 million. Merrill is also involved in disposition, financing, and construction management functions as it relates to her assigned assets. Merrill joined L&B in 1979. Merrill earned a BBA degree from the University of Texas at Arlington. She is a candidate for CCIM certification. She is also a member of CREW, Commercial Real Estate Women. Stacie has over 20 years of experience in real estate including the oversight and management of over $2.5 billion in core, value add and development strategies. She leads the client teams in setting strategy and developing annual investment plans to ensure client return objectives are met. Her responsibilities include oversight of the acquisition, disposition, financing, asset management and construction management functions. She also oversees multiple joint venture relationships and the structuring of partnership documents. 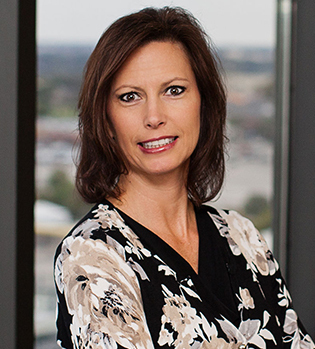 Stacie joined L&B in 1994 and is a member of the firm’s Investment Committee and Management Committee. Stacie is a Certified Public Accountant and received a BS in Accounting from the University of West Florida. She is a member of the Urban Land Institute, Pension Real Estate Association, National Council of Real Estate Investment Fiduciaries and the American Institute of Certified Public Accountants. David has over 14 years experience in commercial real estate. He is responsible for directing the management of investments on behalf of separate account clients. His experience includes client communication and reporting, strategic financial analysis, performance measurement, and oversight of asset management functions including acquisition, disposition, and financing decisions. David joined L&B in 2008. 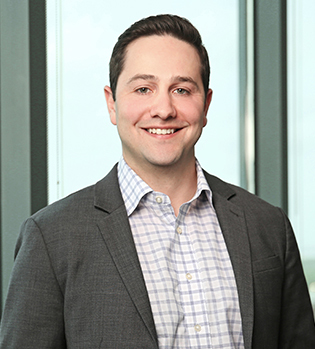 David received a Bachelor of Business Administration from Baylor University and a Master of Science in Finance from Southern Methodist University, Cox School of Business. Tom has over 25 years of experience in real estate including portfolio and asset management, debt and equity investments, acquisitions, dispositions, joint ventures and investor relations. Mr. Burdi has worked on all real estate product types, including hospitality. 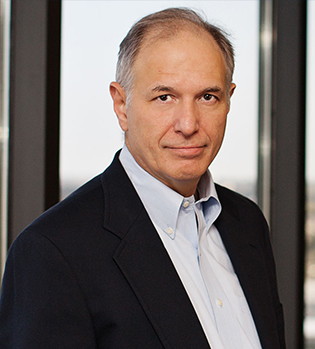 Tom serves as L&B’s head of asset management for the office and industrial group with a total value of over $2.9B. In this role, he is responsible for the strategic direction and performance for the portfolio. He also oversees a portfolio of industrial, office and hotel product on behalf of three non-discretionary pension plan clients. Tom joined L&B in 2016. Tom received a B.S. in Accounting from the University of Denver and an MBA from the University of Chicago Booth School of Business. Peter joined L&B in 2016 with over 15 years of real estate and finance experience. He is responsible for assisting in the management of over $3.0 billion of investments on behalf of separate account clients. Peter has experience in Core, Value-add and Opportunistic strategies for all property types. Peter has a Master of Business Administration from the Cox School of Business at Southern Methodist University and a B.S. in Economics from Grinnell College. He is a member of Urban Land Institute, Texas Real Estate Council (TREC), and International Council of Shopping Centers (ICSC). 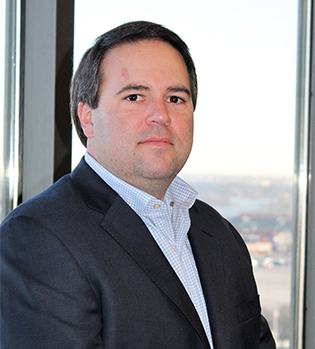 Dan is the senior executive responsible for overseeing investments and is one of the firm’s two partners. Dan is a member of L&B’s Management Committee and is the Chair of the Investment Committee. He joined L&B in 1984. 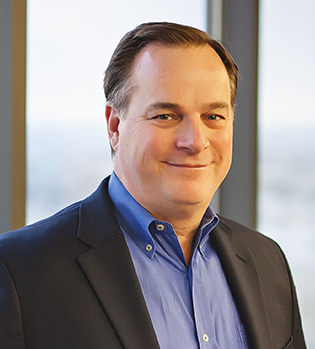 Dan is a member of the Board of Directors of The Real Estate Council, a member of the Healthcare and Life Sciences Council of the Urban Land Institute, and the International Council of Shopping Centers. Mr. Plumlee received his BBA degree in accounting from the University of Texas and a JD degree from Southern Methodist University. 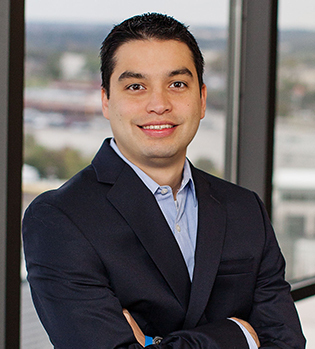 He is a licensed real estate broker in the state of Texas, and a member of the State Bar of Texas. Andy is the managing partner and is responsible for strategic management. 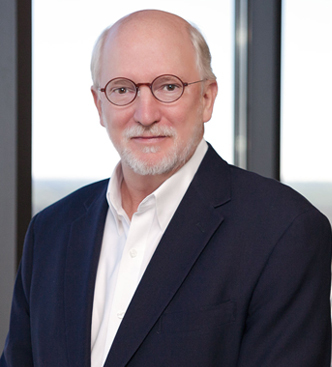 Mr. Smith is a member of L&B’s Investment Committee and chairs the Management Committee. Andy joined L&B in 1981. Andy is a member of the Texas State Bar, Dallas Bar Association and the Bar of the District of Columbia Court of Appeals. Mr. Smith earned a BBA degree and a JD degree both from Southern Methodist University.